Flurb #9 is now live. 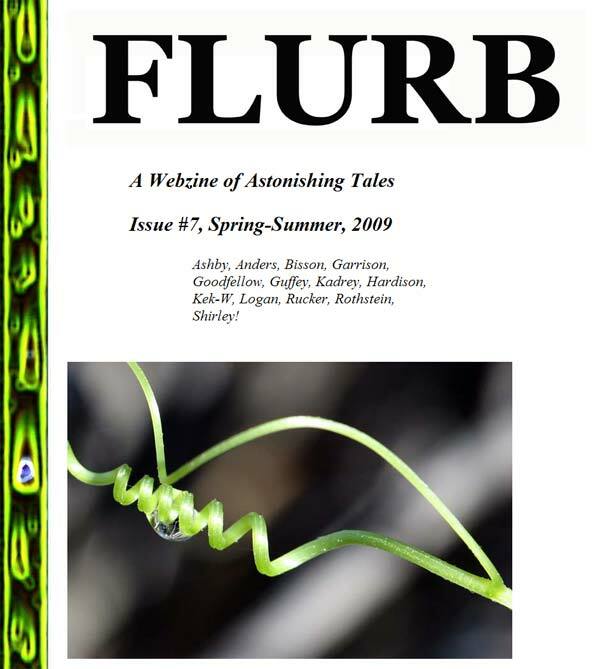 Flurb is a free online Webzine of Astonishing Tales, edited and published by Rudy twice a year. The previous issue of Flurb has gleaned seventy thousand unique visits so far. 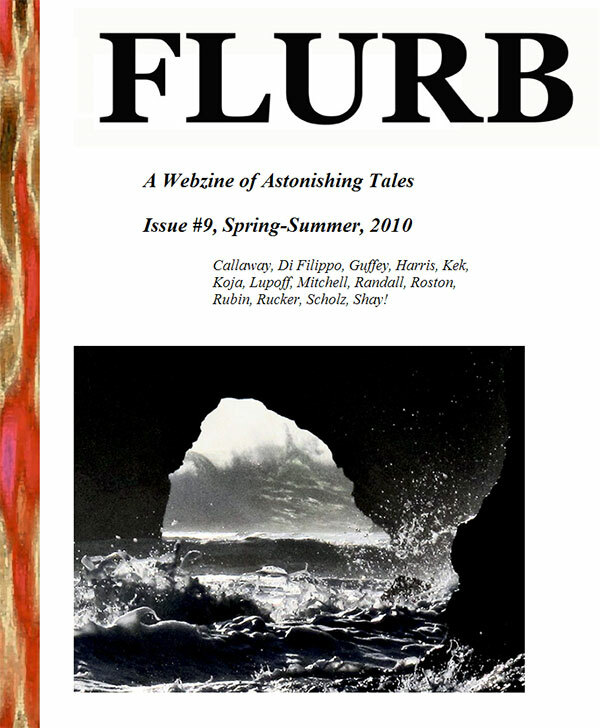 Check us out at www.flurb.net! And return here to comment. Many thanks to the wonderful writers who are helping to make Flurb possible. The new issue includes a story by Danny “Groundhog Day” Rubin and mind-expanding surreal-SF stories by newcomers Christopher Shay, Kek, and Adam Callahan. Plus Robert Guffey’s re-take on the King Kong mythos, a collage-cartoon-strip by Paul Di Filippo, a spooky nostalgia trip by old master Richard Lupoff, a disturbing author-signing story by Kathe Koja and Carter Scholz, and toothsome confections from newcomers Mari Mitchell, Jessy Randall, and Alex Roston—and a surfing tale of supernatural horror lifted from my as-yet-unpublished novel Jim and the Flims. Flurb #8 is now live. 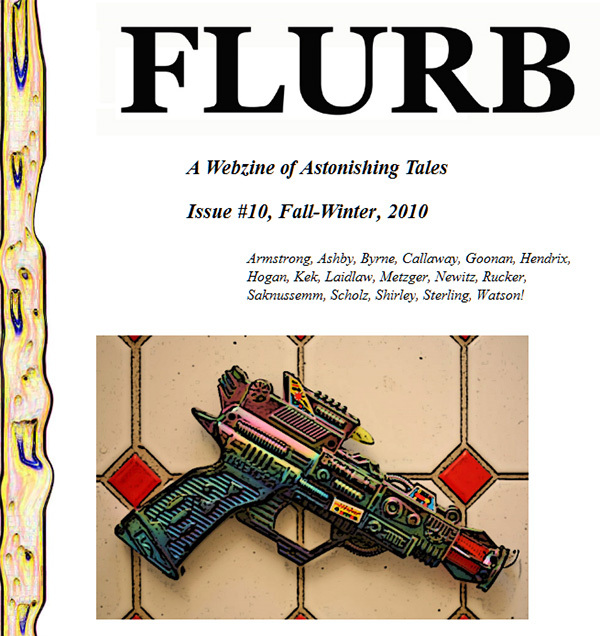 Flurb is a free online Webzine of Astonishing Tales, edited and published by Rudy twice a year. 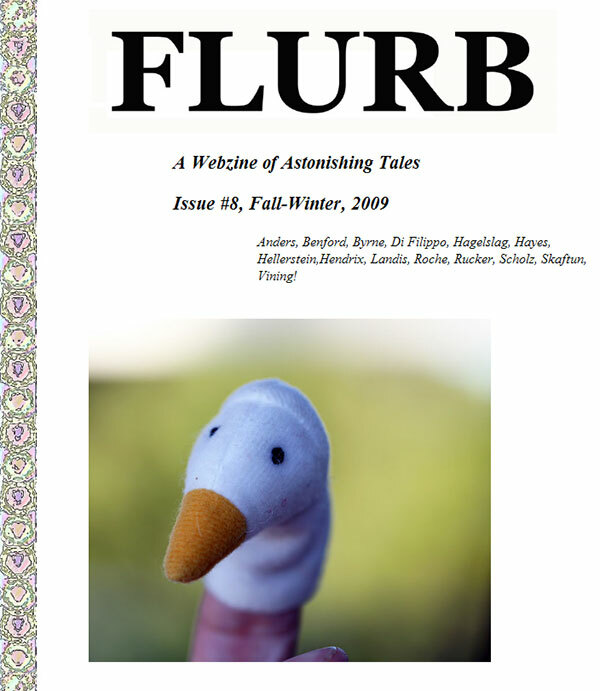 The previous issue of Flurb has gleaned sixty thousand unique visits so far.